The UK’s contribution to this year’s World Expo in Milan – which drew on the work of a Nottingham Trent University scientist – has won a major prize at the prestigious international event. Giant aluminium lattice sculpture, The Hive, was awarded the international jury prize for best design and relevance to the overall Expo theme ‘feeding the planet, energy for life’. The award was judged by the Italian Association of Architects, along with Italian national construction and landscape bodies. The Pavilion – inspired by the role of the honeybee in our food-chain – was created by Nottingham Trent University Fine Art graduate and artist Wolfgang Buttress. The design aims to highlight the importance of honeybees in food production and prompt the visitor to reflect on sustainability issues. 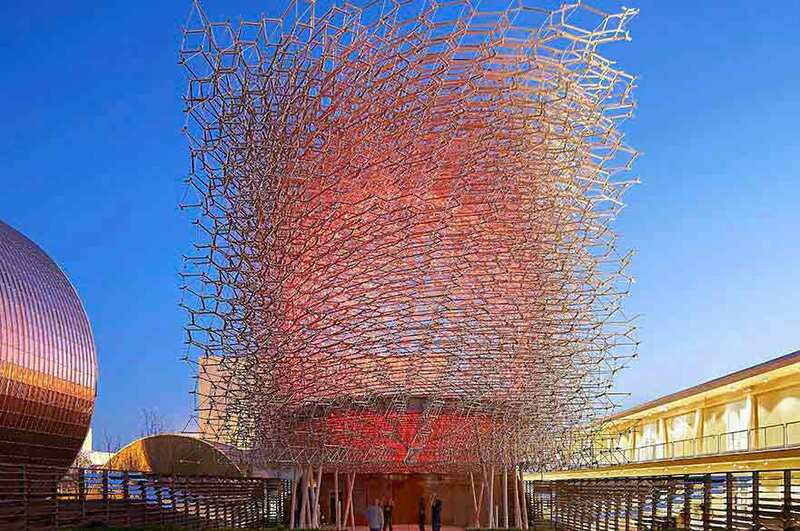 The Hive is the centrepiece of the UK Pavilion commissioned by UK Trade & Investment (UKTI). The installation provides an immersive experience for visitors, drawing upon and showcasing ground-breaking work by Nottingham Trent University scientist Dr Martin Bencsik in monitoring the health of bee colonies. The jury said of the design: "It is indeed among those that have best interpreted the theme, attracting visitors in the morning and at night thanks to an interesting play of light that reproduces a beehive constantly monitored by Nottingham Trent University. The big hive is like a large sculpture designed to be easily mountable and removable, which can then be transferred elsewhere once Expo finished." 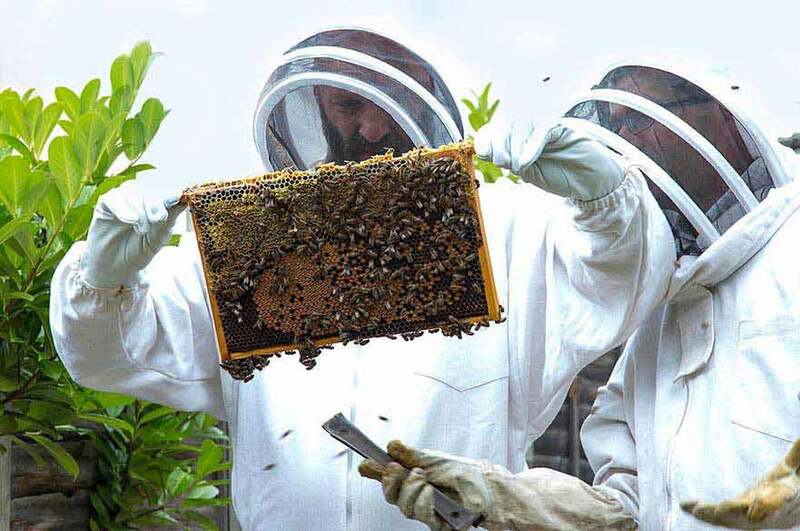 Dr Bencsik, a Physicist based in the University’s School of Science and Technology, uses accelerometers – devices sensitive to minute vibrations – to detect and translate vibrations caused by bees during their activities and as they communicate with one another. 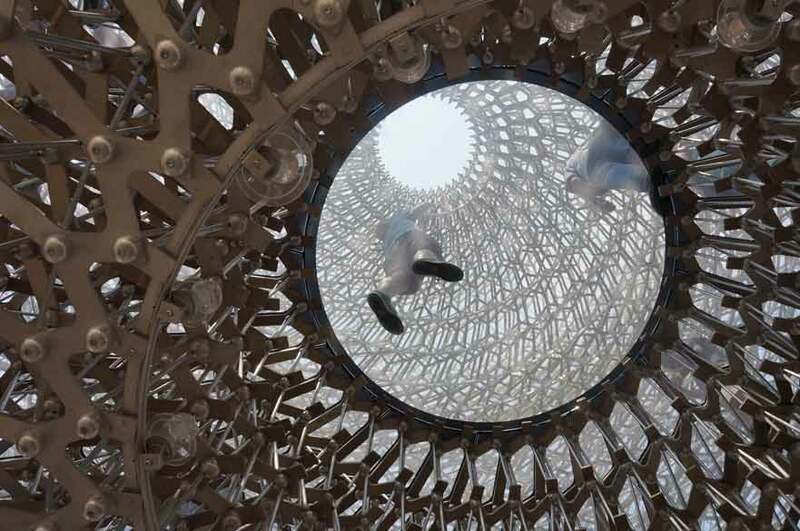 The Hive, forming the focal point of the UK pavilion site, is a 14m cube aluminium lattice structure based on an abstract re-interpretation of honeycomb. Visitors enter into a spherical void, carved from the centre of the sculpture. Lighting and soundscapes within are directly inspired by Dr Bencsik’s research, with sounds and an array of LED lights flickering in response to live-streamed signals from a real bee colony kept at Nottingham Trent University. Visitors to the UK Pavilion queue in an orchard and then stroll through a wildflower meadow, making their way towards, and finally entering, The Hive. As well as highlighting the role of pollinators in the food chain, the concept aims to encapsulate some of the qualities the UK brings to the global food challenge. Countries across the globe have showcased their creativity and innovation as part of the World Expo, which ends on 31 October. Countries have taken part in a global conversation on the issue of how to feed the planet, as the world’s population increases to nine billion by 2050. Nations have embraced technology, innovation, culture, traditions and creativity and how they relate to food and diet. British company Stage One has fabricated and constructed the scheme. Dr Bencsik said: "Wolfgang's design for the UK Pavilion is in my opinion the ultimate achievement, in being subtle, delicate, multi-sensorial and holistic, while still conveying a strong message to the visitor. A splendid powerful beacon, built with gentle lace. I am delighted that the judges have acknowledged this outstanding creation." Wolfgang said: "This is a great honour; to be given this prestigious award is testament to the amazing work that my team have done." Winner of a 2013 Queen’s Award for Continuous Innovation, Stage One works within the architecture, theatre and event industries. Stage One are makers: the company’s unique strength is their ingenuity - finding ways to realise the creative visions of their clients, no matter how extreme. Established for over 25 years, Stage One combines design, engineering and technology to deliver astonishing impact on a global platform. From launches to installations, from architecture to ceremonies, the company creates things that people remember forever. Their clients and partners are the world’s most creative minds and the best technical producers in construction, architecture, engineering, entertainment, corporate events and art. For more information please visit the Stage One website.